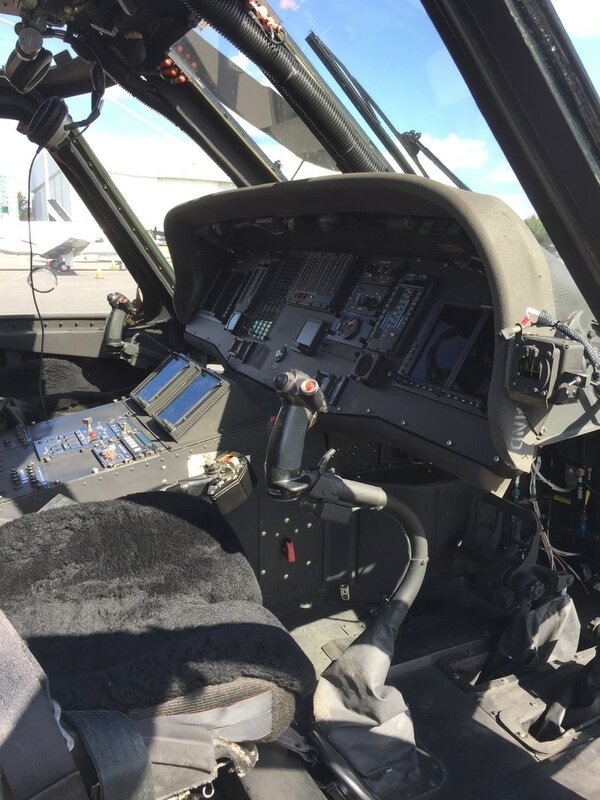 ORLANDO _ One of the most iconic military aircraft in the world is the Sikorsky Black Hawk helicopter, made famous in Ridley Scott's 2001 move, Black Hawk Down. When we got an invitation to take a ride in one, game on! The setting was the National Business Aviation Association's expo, and our host was Russ Dise, president of JetLease, the world's largest private aviation leasing company based in Palm Beach (you can read more about Russ and JetLease in our earlier profile, here). 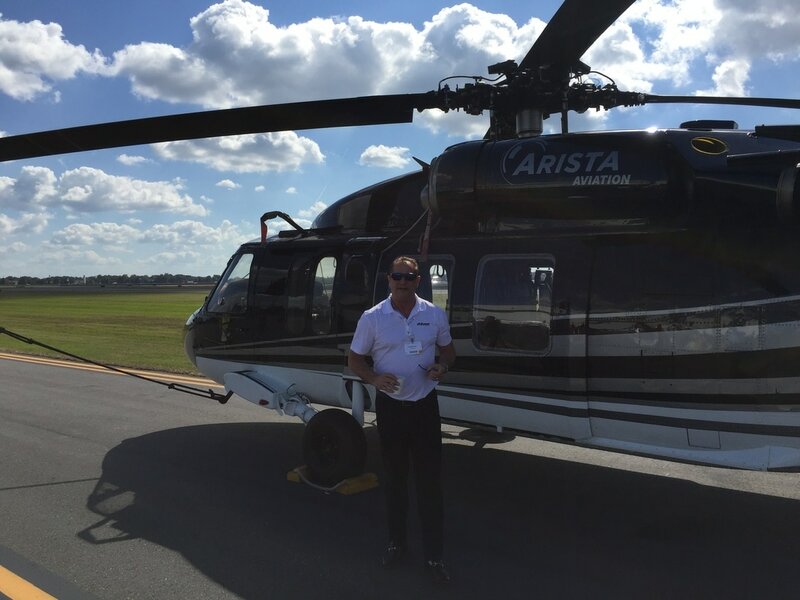 Dise, in partnership with Arista Aviation, is selling refitted Black Hawks, and is here to showcase the aircraft for expo attendees. Sitting on the tarmac, she is sleek, black and beautiful. After a brief get-acquainted session, we get strapped in and fitted with ear plugs -- a must-have accessory in an open-door helicopter. All passengers secure, the pilots start revving up, and the four blades begin rotating faster and faster. You think you're ready, but when it suddenly lifts off and banks sharply left, you reach for something to hold onto (like your spouse) as your stomach does a dipsy-do. Even with ear plugs, the noise is jarring. 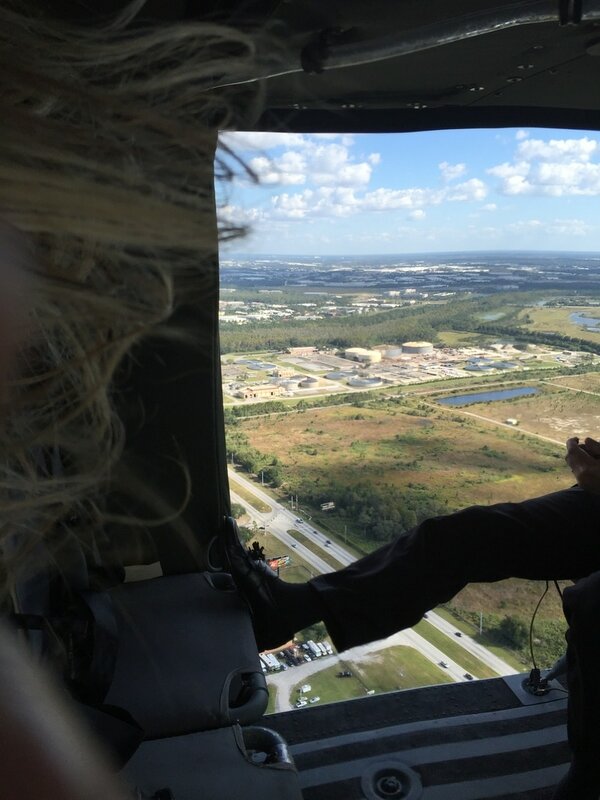 The wind swirls like a mini-tornado through the open doors on our left and right as we fly over familiar Orlando landmarks. But the bottom-line feeling is one of pure exhilaration. After we landed, I couldn't help but recall what Will Smith said about the alien spaceship in Independence Day: "I've got to get me one of these!"